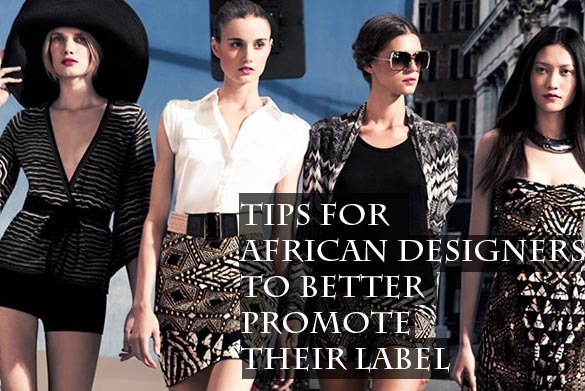 This is my 3rd and final installment on the tips for African designers to promote their label. I am truly happy with the outcome . The first two are articles are still very popular on ciaafrique. So today we have a lot to cover. let's start shall we ? The promotional referral discount is just giving discount by referral. An example is if I buy something from you , all you have to do is to give the next person ( my friend)I refer to you 10% discount and use the same method over and over again you will be amazed about the number of people you get by doing that.Something I have noticed with a lot of African designers is that they don't put their items on sale. In fact I have been visiting some online shops and the same items have been there for the last 3 years ( yes I said 3 ). I just don't know why you will keep an item in your site for that long. If its not selling maybe the prices are not reasonable or your clothes are just not that great. Because of the bad economy a lot of designers even big fashion houses have been doing pop up Boutiques. As a designer who is not yet well known participating in Trunk shows and Pop up boutique is a must. If you are serious about being a fashion designer and stay in this business then the key is consistency. I know a few Young African designers that have not made a collection for the last 2 or 4 years. I am not sure why but you better have a good reason. Once you are out then there are 100 of designers entering the business to take your place. Be consistent , be yourself and keep us interested. Last but not least a little thank you goes a long way . If you send your stuff somewhere to be posted online or to a magazine then don't forget to send an email to say thank you. I have seen a lot of emails in my days of blogging and posted about those fashion houses however I did not a get a thank you from certain people( not that i care much. ) but who do you think I will post about if I am given a chance to do it again. The one who said thank you or the one that just sent off their email and never send a thank you ? So trust me a little thank you goes a long way. YOU JUST TOOK THE WORD OUT OF MY MOUTH!!! I know right ? These are thing that all designers could do.